We are honored to have Chief Black Fox returning to Zen Awakening Festival for his 2nd Year in a row to lead us in Native American ceremony and songs. Delbert Pomani also known as and “Chief Black Fox” is from the Crow Creek Agency in Fort Thompson, South Dakota. His mother was from Standing Rock, and his father- from Crow Creek. Delbert is a direct descendant of Sitting Bull, Crazy Horse, and Rain In The Face. His name, “Black Fox,” was given following a vision that Delbert beheld the duty of “Uniting the Tribes”. 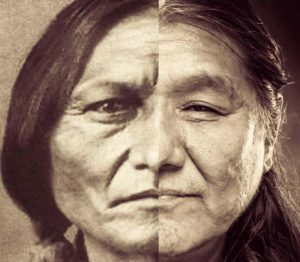 Five years ago, when Chief Leonard Crow Dog of the Rosebud Reservation in South Dakota, initiated Delbert as a Chief for the Dakota Tribes, Chief Black Fox Pomani knew he was the one to work for and represent his people and native culture. Mission My mission is to help my people, Mother Earth, and humankind. The highest rate of suicide, drug and alcoholism is on our reservations. I want to make a difference by bringing hope back to my people and spreading awareness on how we can heal not only ourselves, but all nations, all people. The time has come be leaders once again. During presentations, I teach the ways of our ancestors and our elders. Ways on how we should and must care for Mother Earth and clean up our own backyards. We are in a time of great change and need to heal the diseases in our hearts. In 2011, I started a nonprofit called “The Indigo Bridge” with the vision to unite Indigenous Nations under the People of the Earth Treaty. This Non -Profit Organization is organized exclusively for charitable and educational purposes specifically to promote, preserve, and enhance native nation’s customs and ceremonies by retaining their human and treaty rights, Through Indigo Bridge, we want to promote their socio-economic and natural resource development. . To recognize the Chief and Elder Societies, and all those not yet thought of. Chief has spent almost two decades helping his people restore their tribal structures and embrace solidarity. He has appeared in movies such as the famous “Dances With Wolves” as a Dakota Warrior, short film “Move” , Dr. Quinn Medicine Woman, starred with George Clooney on an episode of “E.R”, as well as other movies extra parts for natives. Delbert is also a well known and loved musician of his people. Performing many times in public for sacred ceremonies, his Peyote songs of the Native American Church can be found on Youtube as well as through CD’s. He says the movie industry was not really for him, but if it helped his people then he would do it again. Chief has traveled widely from the West Coast to East Coast, as well as Hawaii. His background also includes the forming of the “ All Nations Gathering of Treaties” in Fallbrook California, meeting with the Seminole Chief James Billy, his brother David Shelly, as well as Tribal Council Members in Hollywood. Chief Black Fox was also appointed Ambassador to the Royal Order of Kamehameha Kamehameha , Hawaii in 2014. Delbert has remained quite busy as a water protector for Standing Rock. “Mni Wiconi” Water is Life Mission. Right now the goals I have in life are uniting the human race, bringing our tribes together and also reaching out to native tribes all around the world and unifying and protecting our lives as human beings. To someday ask our government to protect us as endangered species. Teaching our children if we could look at each other with the color of the tears that come out of our eyes and teaching them the color of water. there will be now color. We will all be human beings.